In a bid to try more from one of my favourite brands I picked up the Urban Decay Naked Flushed Palette when I was last passing through World Duty Free at the airport a couple of months ago. The Urban Decay Naked Flushed Palettes come in six colourways: Going Native, Naked, Nooner, Sesso, Streak and Strip. I decided on the original shade, Naked, as in the pan it looked most suited to my skintone. Said to contain jet-milled powder for feather-light application, a flawless finish and healthy glow suitable for any skin tone, the Urban Decay Naked Flushed Palettes have a lot to live up to. The Urban Decay Naked Flushed Palette comes in a bronze toned magnetic case with a handy wide mirror perfect for on the go. 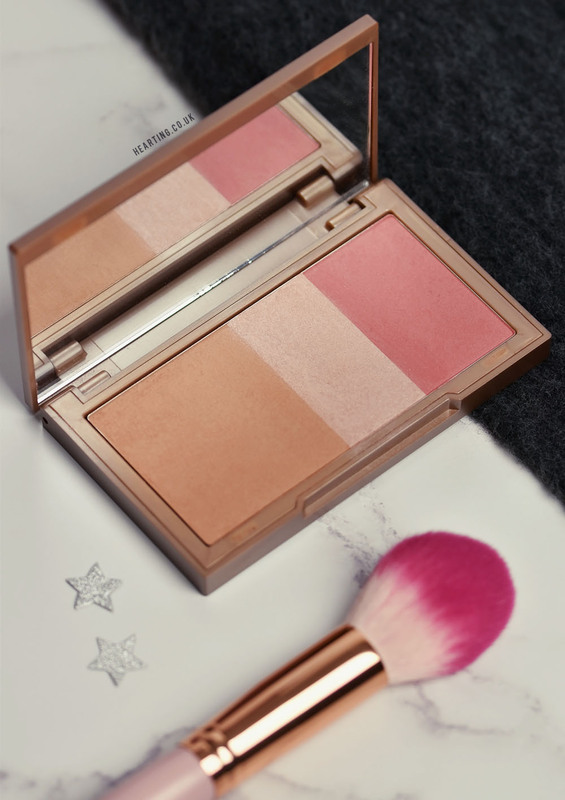 The cheek palette itself is split into three sections and contains a bronzer, highlighter and blusher. 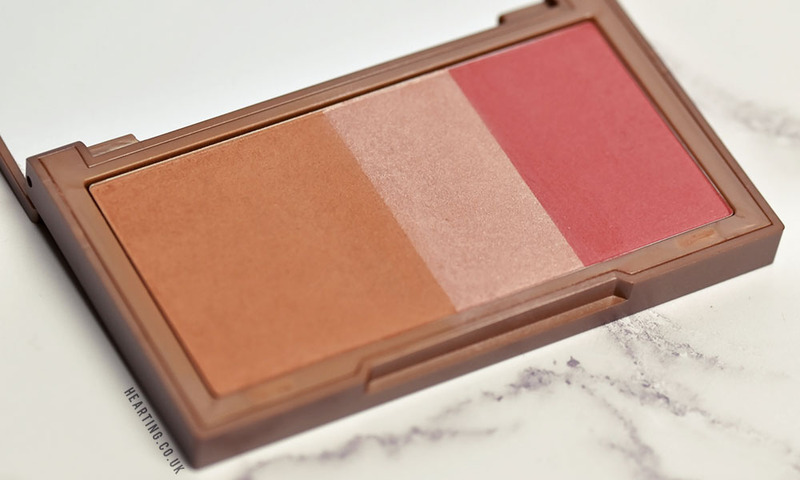 I really like the fact that this cheek palette isn’t split evenly between the three products as typically I would use a wide fluffy brush for the bronzer, a smaller and more precise brush for the blush and a fan brush for the highlighter. The way this palette is split is perfect for the brushes I tend to reach for to apply these products. The Urban Decay Naked Flushed Palette in Naked has a mid-toned satin bronzer, a stunning pink toned champagne highlighter and the most beautiful rose toned blush. All three powders are buttery soft and blend into my skin effortlessly. The blush is the most pigmented so I use a very light hand to avoid a clown look but all three products are easily buildable. I’ve been reaching for this palette so much that none of my other cheek products have really had a look in since I picked up this palette. When I’m strapped for time I’ll just apply a little bronzer, other days I’ll go all out and use all three products and when I’m feeling particularly adventurous I’ll swirl my brush and mix the shades together. However I choose to use this palette I love the results as the tones seem to really compliment my skintone and it’s so painless to use. The Urban Decay Naked Flushed Palettes cost £25 and contain three full size Naked products (14g of product). What’s your favourite cheek palette? Have you used any of the Urban Decay Naked Flushed Palettes?